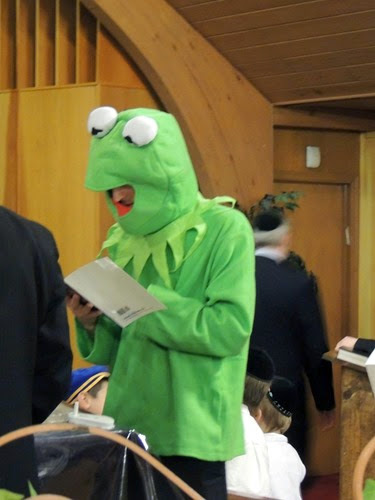 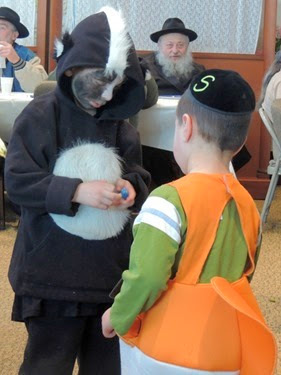 Like I mentioned on Friday, Purim was this past Sunday. 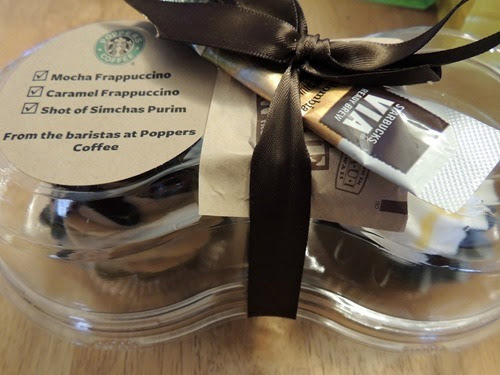 We had a busy day, which actually started the evening before, as all Jewish holidays start in the evening. 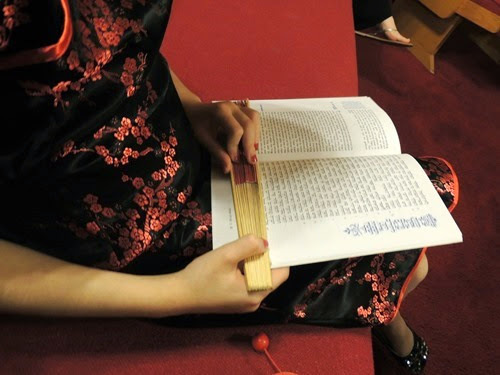 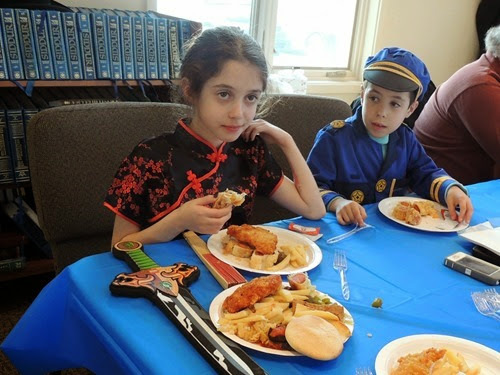 Gabbie was a Chinese lady, complete with her authentic dress from China, a gift from her aunt and uncle. 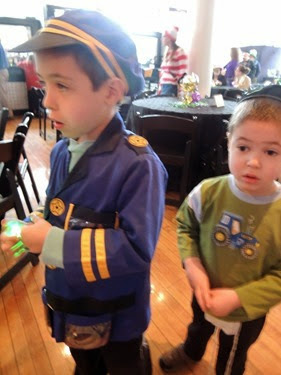 Zachary was a policeman for the 3rd year in a row. 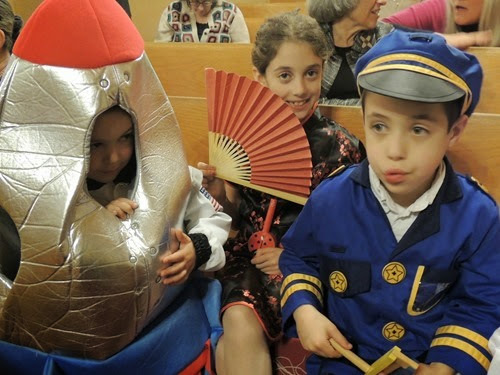 I told him this costume may not fit him next year and he said, “that’s ok, you can just buy me a new one!” Simon was an astronaut inside his very own spaceship! 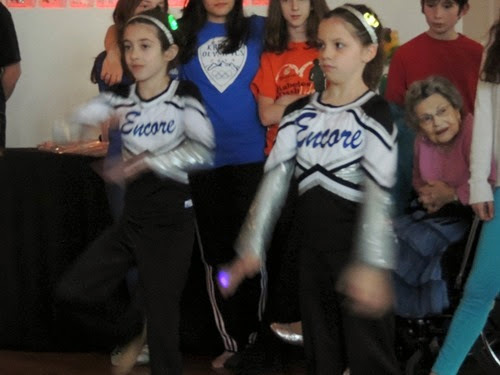 I was proud of Gabbie as she followed along the entire time, in Hebrew, using her fan. 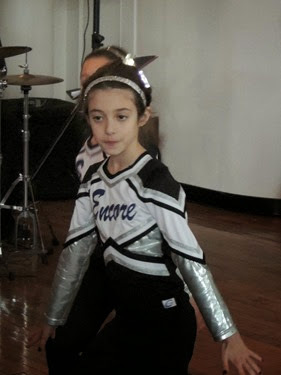 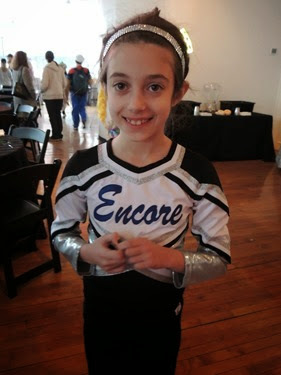 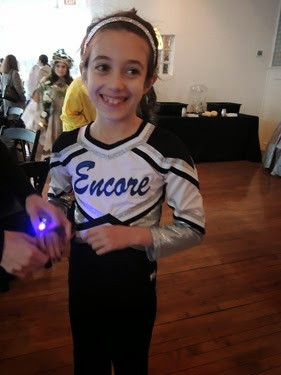 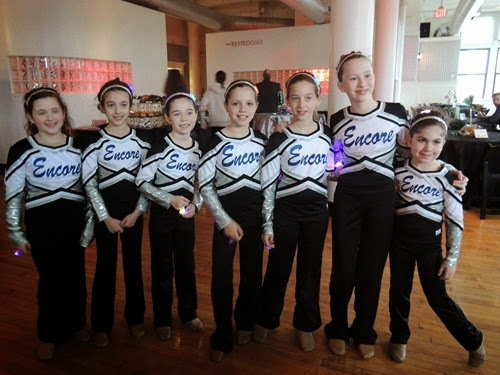 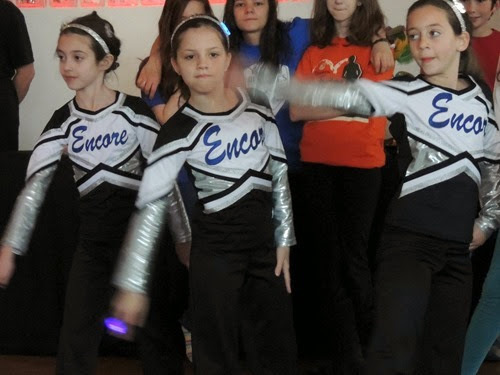 In the morning, Gabbie’s dance team performed at her friend’s older brother’s Bar Mitzvah party (the friend is also on the dance team). 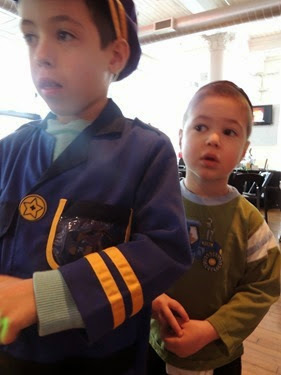 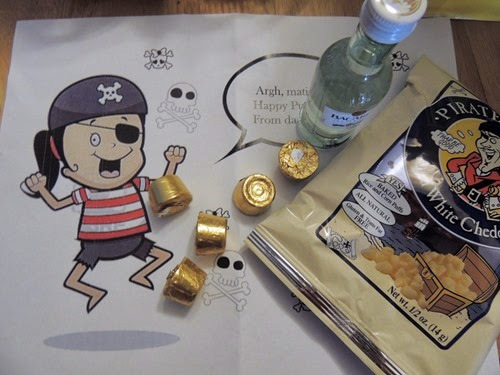 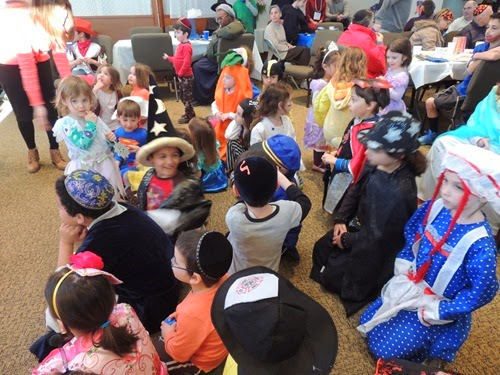 Finally, we attended a Purim party / dinner. 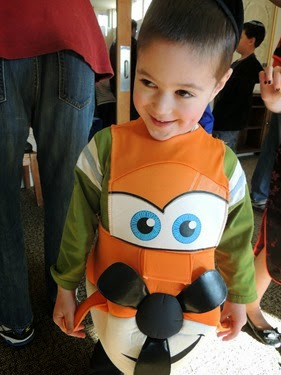 Simon wore his Dusty Crophopper costume. 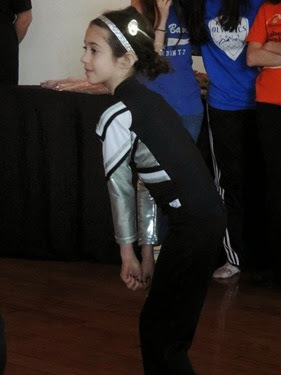 The kids were watching a martial arts demonstration in most of these pictures. 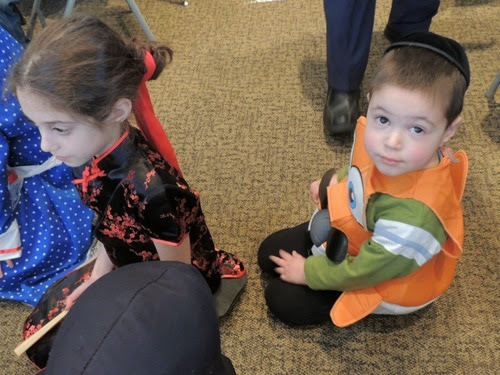 There was also a magic show. 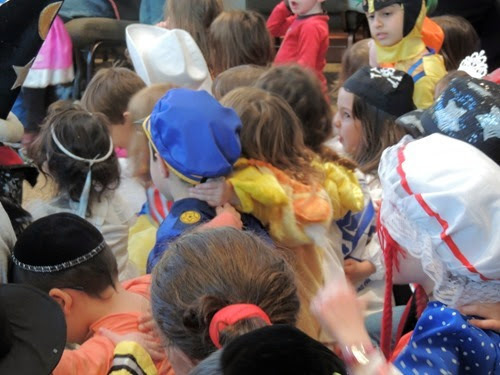 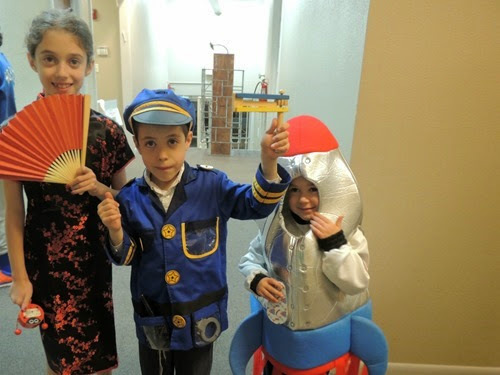 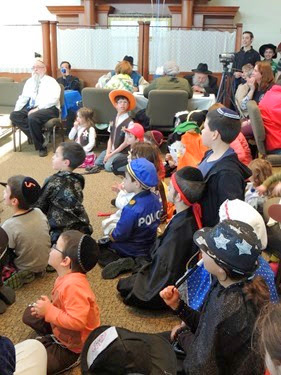 I am happy to say we had a good time and we enjoyed Purim this year!